We have been working on decorating our room for the holidays! 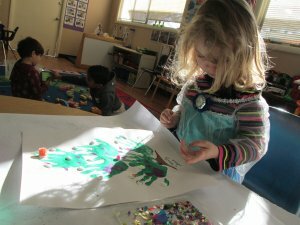 We have been using paint, cotton balls, and glitter for different art projects. We are learning about Hanukah and Christmas and reading different stories about both. Room 2 can’t wait to preform all our favorite tunes, in the Holiday Concert on Tuesday, December 12, 2017 @ 6:30 pm – 7:30 P.M. Hope to see all family and friends there!